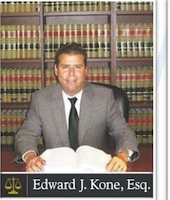 Palm Beach County Criminal Lawyer - Broward County Traffic Ticket Attorney - Boca Raton Personal Injury - Edward J. Kone, P.A. Edward J. Kone and Gregg D. Kone are experienced trial lawyers who provide high-quality representation and legal services at reasonable fees. The Kone brothers will look out for your best interests. 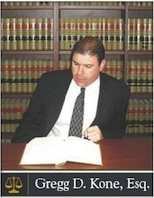 We understand that the legal process can be intimidating and confusing. People often feel helpless and out of options. Please call us regarding possible representation or with any legal questions that you might have. Whether you simply received a speeding ticket or if you got arrested or were injured in an accident, our Palm Beach County criminal lawyers can help. Let us represent you. Please call today!